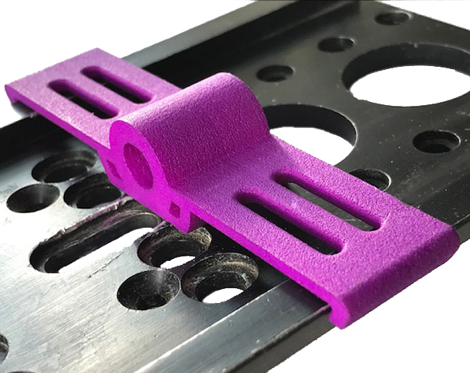 These blocks quickly and easily clip onto your steadicam dovetail (towards the front and back) to give you an accurate idea where your dovetail should be fixed on the camera base in the side to side plane. Once you&apos;re happy and you&apos;ve screwed your dovetail in position, the blocks just click off. This is particularly important when using the Betz ‘Wave’ as, for optimal performance, the camera needs to be placed with its CG symmetrical in the Wave’s arcs. There are two versions of the blocks. One to clip onto the “standard” Steadicam wedge plate; that is, the plate with a 5.2mm (nominal) thickness and one to fit the thicker 8.5mm (nominal) Steadicam plate.